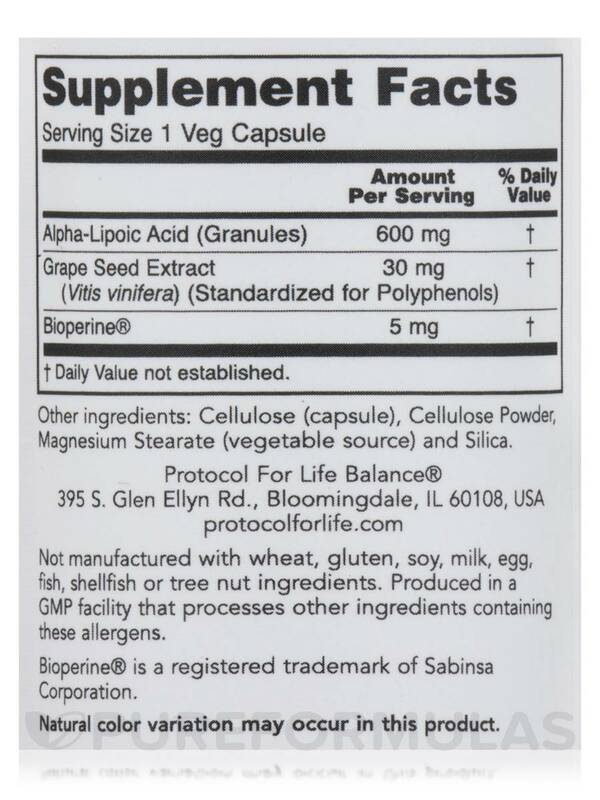 Alpha Lipoic Acid 600 mg by Protocol for Life Balance seems to help relieve my long-term ongoing muscular pain somewhat. Your body naturally manufactures an antioxidant called alpha-lipoic acid (ALA)‚ which helps deactivate a wide range of cell damaging free radicals in both water- and fat-soluble environments. ALA is also responsible for enhancing the effectiveness of vitamins C and E. Additionally‚ ALA helps boost your body’s levels of glutathione‚ a critical component to cellular and hepatic detoxification mechanisms. Although most healthy people manufacture sufficient levels of ALA to protect cells‚ a supplement can provide additional benefits. 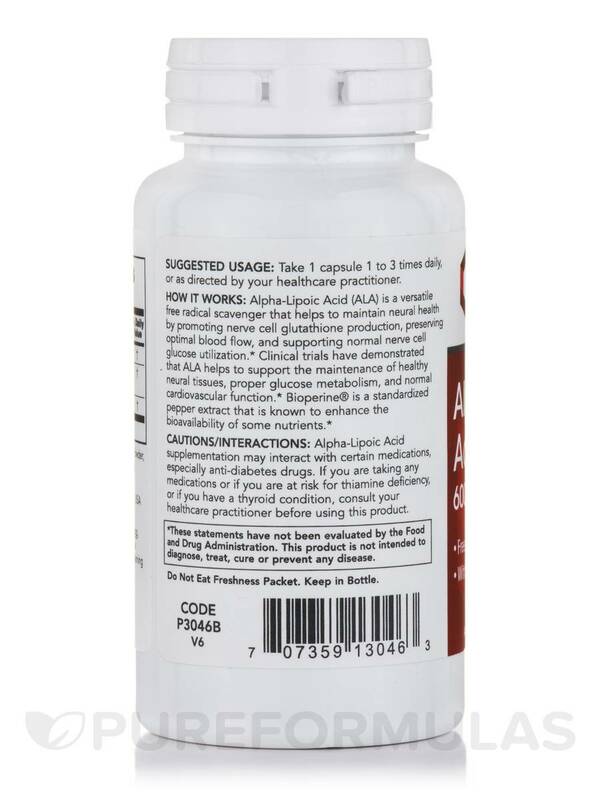 ALA may promote healthy glucose uptake and utilization‚ which in turn supports the healthy metabolism of carbohydrates. In addition‚ ALA can have protective effects on brain and nerve tissue. 600 mg of alpha-lipoic acid (ALA)—a natural antioxidant that works to protect your cells against the effects of free radicals. 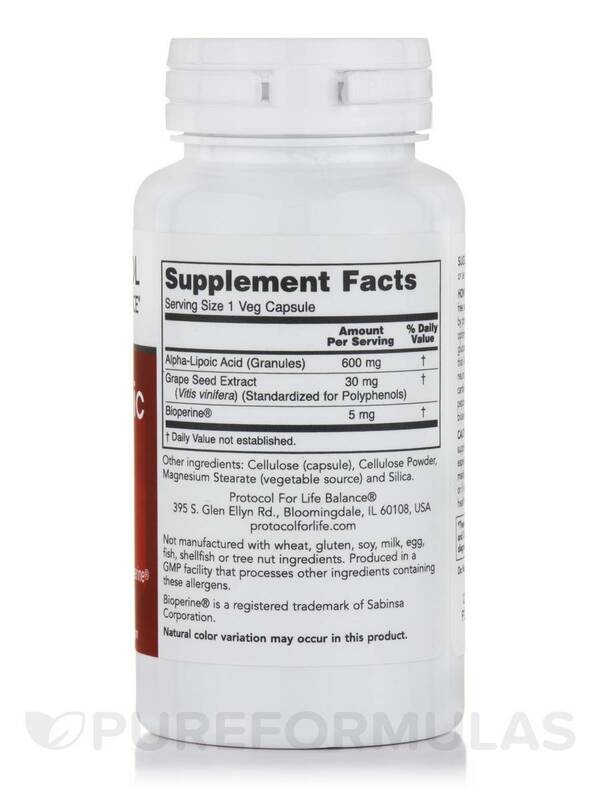 30 mg of grape seed extract—contains antioxidants that promote cardiovascular health and improved circulation. 5 mg of bioperine—derived from black pepper and may increase energy metabolism. 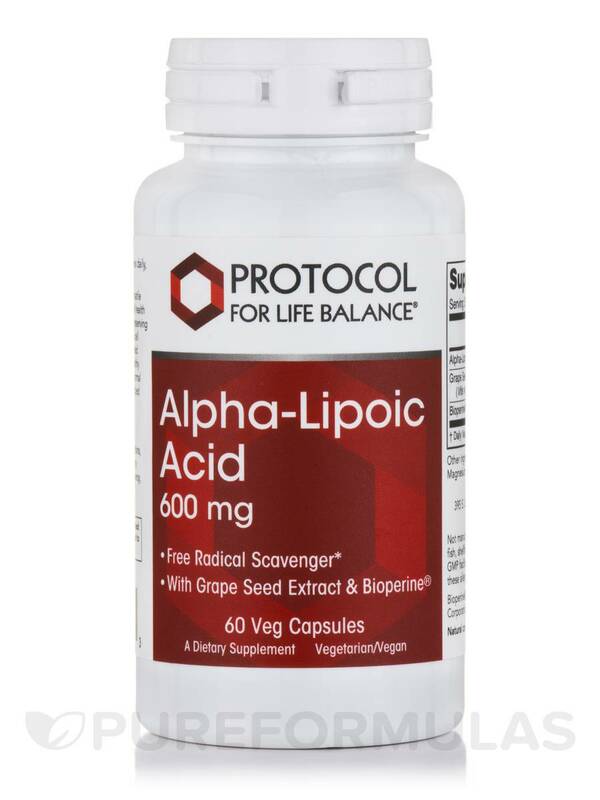 Take one capsule of Protocol for Life Balance’s Alpha-Lipoic Acid 600 mg daily‚ with or without meals. Each bottle contains 60 capsules. Some studies show that oral ALA supplements are most effective if taken on an empty stomach‚ but always consult your health care professional before adding supplements to your diet. ALA may interact with certain medications; if you’re taking any medications‚ have a thyroid condition‚ or are at risk for thiamine deficiency‚ consult your doctor before using this supplement. Other Ingredients: Cellulose (capsule)‚ cellulose powder‚ magnesium stearate (vegetable source) and silica. Take 1 capsule 1 to 3 times daily‚ or as directed by your healthcare practitioner. 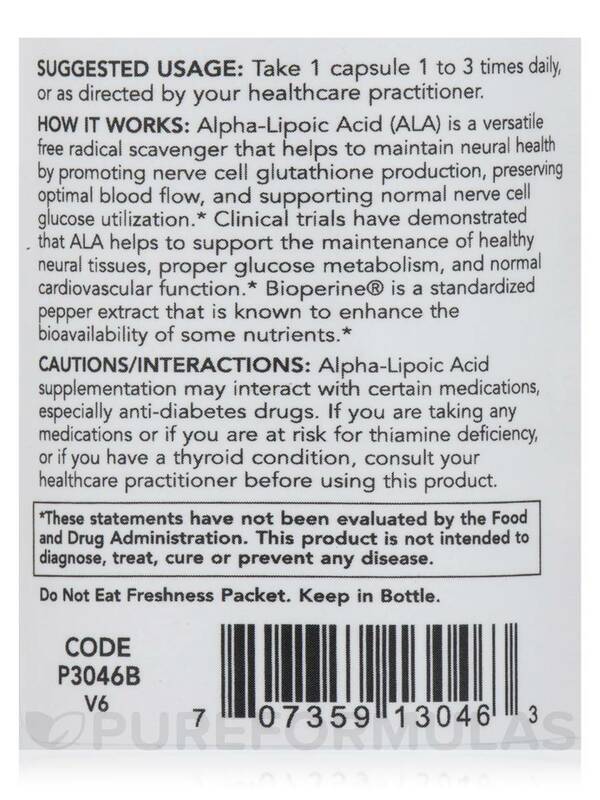 Alpha-Lipoic Acid supplementation may interact with certain medications‚ especially anti-diabetes drugs. If you are taking any medications or if you are at risk for thiamine deficiency‚ or if you have a thyroid condition‚ consult your healthcare practitioner before using this product.